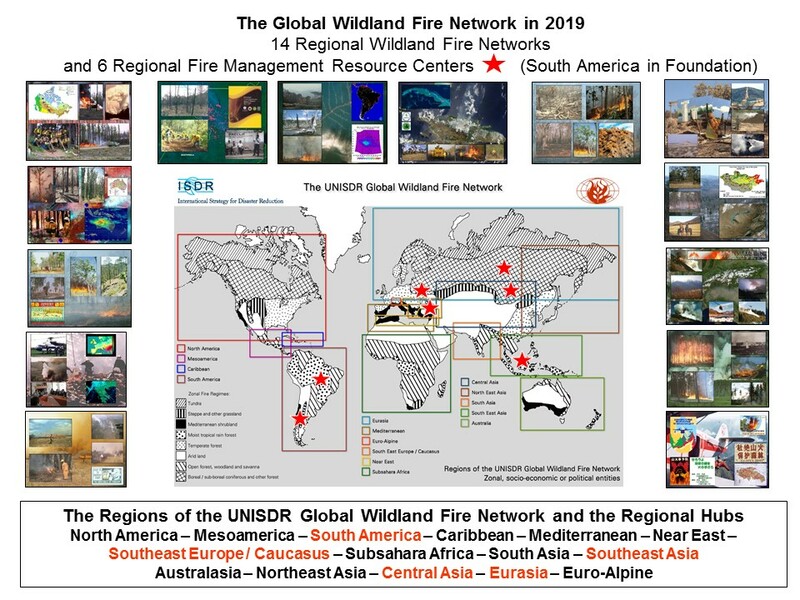 This world map shows the delineation of the Regional Wildland Fire Networks. The vegetation types display characteristic fire regimes in the regions in a generalized way. Details are described in the background documents on the regional network web pages. The red stars show the locations of the Regional Hubs of GFMC, i.e. the Regional Fire Monitoring Centers and the Regional Fires Management Resource Centers. The South American hub is under construction (as of March 2019).